A village enveloped in thick, white fog, the monsoon, and memories of ‘Malgudi Days’. This story first appeared in Mint on Aug 26, 2016 under the section ‘Weekend Vacations’. I stepped off the bus and walked right into a white wall. Turning around, I saw the white wall creeping up behind me. It took a few seconds for my dazed mind to realize that it was actually thick fog. Almost animate, it was on the prowl, gliding without warning, and wrapping itself around the entire village. A friend and I were in the hilly hamlet of Agumbe in the Western Ghats. An overnight bus journey from Bengaluru had brought us here for a weekend getaway to savour the magic of the monsoon. 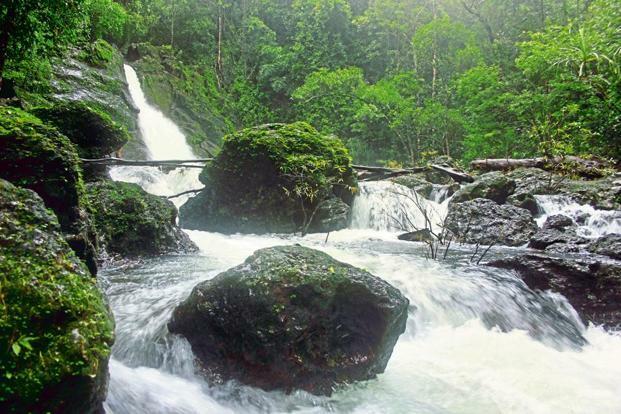 After all, Agumbe is one of the wettest places in India. We had to trudge only 200m to Kasturi akka’s house (akka means elder sister in Kannada) from the bus stand. Locally known as Dodda Mane (big house in Kannada), it’s a village landmark. 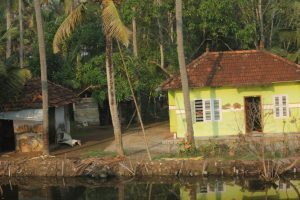 Akka’s family has been giving sanctuary to weary travellers for 45 years, essentially converting Dodda Mane into a home stay much before the word started occupying an exalted position in the hospitality industry in India. This two-storeyed, traditional Malnad house, built with teak wood and stone, is more than 125 years old. Thick wooden columns line the front court; beyond it lies a central courtyard with potted plants circling it. From there, stout doors lead to the bedrooms and the kitchen. Despite its rambling spread, there is a curious charm about it. Akka’s son showed us to the rooms and dormitory on the first floor. The wooden stairs creaked under our feet. The sound was enough for the dame of the house to holler to ensure that her guests were okay and tell us that we could join her in the kitchen if we liked. The kitchen had an old-fashioned brick stove, with large cucumbers hung above it to dry. At the corner of a large vintage table sat akka. The introductions happened over breakfast. The first day was reserved for a trek to the Jogigundi Waterfalls, about 4km away. We logged a kilometre on the paved road before veering on to a forest trail. The slushy dirt path, with small, slippery rocks, put us to the test. The tall trees made a thick canopy above our heads and slim streams formed temporary capillaries around them. Thankfully, it had stopped raining. The silence of the forest was punctuated only by the call of crickets and cicadas. We were about an hour into the trek when we heard a rising roar, an indication that we were nearing the waterfall. Stepping over fallen logs and walking down mossy stone steps, we parted the thick foliage to emerge at the base of the waterfall. The Malapahaari river was rushing thunderously over boulders. It emerged from a cave-like formation, flowing down in a long trail over a series of rocks. We got as close as we could to the water, feeling the misty spray on our faces. A couple of hours later, we headed back—and relaxed in the courtyard of Dodda Mane. Dinner that night was an excellent Malnad-style repast—high on vegetables and low on masala (spices) and oil. There were no arguments about whether the next day should be dedicated to akka’s stories and a generous supply of kashaya (a herbal concoction). We decided to forgo the trip to Sirimane Falls (38km away) and the temple town of Sringeri (29km away). And over several cups of kashaya, akka and her family recalled the days when a few shows of the TV serial Malgudi Days had been shot in that very house. By noon, the monsoon was living up to its promise, and fat drops of rain were exploding again on the roof of the house. The downpour came as a tonic, and we decided to take a short ride to an ancient Jain temple (19km). We climbed the steps to the top of the temple and walked to a rocky outcrop at the rear. Volunteering to get slammed by the wind, we looked out at the outrageously green valley, punctuated by capillaries of freshly created streams. It didn’t take long, of course, for the fog to blot out the scene. The Brihadeeswarar Temple in Thanjavur is a jewel among temples. Take an early morning turn and discover a whole millennium of history hidden in its portals. This story first appeared in Trujetter magazine in their September 2016 issue. In the gentle light of early morning, the gopuram shines like burnished gold. I stand across the road from it and simply gazed at it. It feels exceedingly good to be in Thanjavur because of the town’s welcoming vibes. As I was looking around, I heard a question in Tamil “Where do you want to go, sir?” A spry, middle-aged gentlemen stopped his moped right next to me. “Periya kovil,” (the big temple) I said. “Vaanga, okkarunga. Naan konda vidaren,” was his smiling response (“Come, I will take you there.”) I thanked him and clambered on. A fiveminute ride later, I was deposited opposite the main entrance to the Brihadeeswarar Temple (which the locals have simplified to ‘big temple’). The temple is dedicated to Lord Shiva. There is a large square forecourt surrounded by the walls of the temple. In the centre of this forecourt is a large square slab of stone, on which stands the temple. There is a neat sense of proportion and symmetry in the complex. At this hour, there are not more than a dozen others who have come to see this wonder. The silence is punctuated by bird calls and the whisper of a mild, cool breeze. I heard a voice behind me and in no time a guide appeared from nowhere. For the hundredth time, I marvel at how guides all over the world, manage to sidle up to you quietly and catch you unawares. Selvam was welldressed with a mild look on his face. His card proclaimed him to be a Government-certified guide to the temple. As we start walking towards the sanctum sanctorum, Selvam takes up a well-rehearsed narrative about the temple. Raja Raja – I, the great Chola Emperor who ruled Thanjavur during the turn of the first millennium, broke a few architectural canons when he had this masterpiece of a temple built. Selvam informed that this is one of those rare temples in which the Vimana (the tower that rises over the sanctum) is taller than the Gopuram (the ornate tower at the entrance to the temple). Also, rather than build the temple outside-in, the master artisans built it inside-out. In other words, they built the siva lingam first, then built the temple tower over it and finally, added the various cloisters surrounding the sanctum sanctorum. The statue of Nandi the bull, the bali peedam (sacrificial alter) and the dhwaja sthambham (flag pole) were all built later. The ceilings bear several frescoes in colours that have Selvam mentioned that the artisans used vegetable dyes to paint the murals. The outer walls of the sanctum contain a detailed commentary on the life and times of the Cholas, dwelling on social customs. I tried my best to read the lines, but the script was in ancient Tamil. The temple is a wondrous example of how scale and intricacy of architecture need not come at the cost of visual harmony. Not one stone, sculpture, pillar or pathway in the temple seems out of proportion. UNESCO has done itself a favour by bestowing the label of World Heritage Site to this temple complex. remained vibrant to this day. A number of things in the temple are in multiples of nine, because apparently, Raja Raja (whose real name was Arulmozhivarman) believed nine was a lucky number. The vimana for instance, is 216 feet tall. And then, there are 108 small nandis erected around the temple complex. His empire was stretched all the way from Kalinga (today’s Odisha) to Ceylon (Sri Lanka) at one point in time. He was one of the first Indian rulers to annex neighbouring countries, thereby introducing Tamil culture to those faraway lands. For a long time, the Brihadeeswarar Temple played host to royal ceremonies in the kingdom. Dance performances were held often, especially when dignitaries from other kingdoms came visiting. The splendid natural acoustics of the temple and its beautiful openair setting provide a perfect background to music and dance performances. Even today, such performances are held once in a while. Interestingly, daily rituals and ceremonies are performed in this temple even today, which is somewhat uncommon among temples of this period. The entire complex is well-preserved, which is more than what you can say about most other monuments in our country. I glance at my watch to see that three hours had flown past. The sun was high up as I exited the temple. The food cart on the pavement is still doing brisk business, but I am not tempted by the fare, being thoroughly satiated by the sensory feast I have just gorged on. I thanked Selvam for sharing his knowledge with me and left. From the unique nodding dolls (Thalayatti bommai, as they are called) to the Tanjore paintings, from the temples along the Kaveri river to the legacy of different dynasties of rulers, Thanjavur is a town of many pasts and many stories. 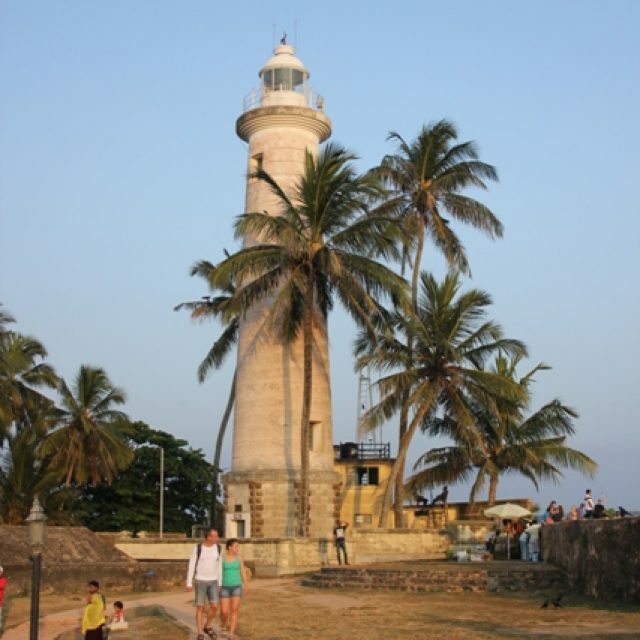 It has had a glorious history as the seat of a mighty lineage of emperors and as the centre of Tamil art and culture. In the midst of all this, the Big Temple continues to have a towering presence, effortlessly linking the past to the present. Ganesh Vancheeswaran visits the pre-eminent 19th-century Urdu-Persian poet’s house and resting place in Old Delhi, and returns with a couplet on his lip. This story first appeared in Khaleej Times on August 11, 2017. The building is one of the many structures on Gali Qasim Jaan in the congested mohalla (neighbourhood) of Ballimaran in old Delhi. At first, I mistake it for a tenement that is being shared by a dozen families, much like other buildings around it are. It is only when I look closer that I notice the differences. For one, this building is made of red bricks and stone, unlike its neighbours that sport the look of modern-day cement-and-paint structures. Secondly, this is the only building on the street that has a uniformed guard at the entrance. And finally, it seems to have a more dignified appearance than the others. I stand opposite the arched entrance for a couple of minutes and gaze at the building. People sweep past me on this narrow, congested street and cycle rickshaws tring tring furiously. Iron shutters are rolled up as shops open for business. The air is thick with the cries of hawkers and the smells of breakfast being cooked in a dozen homes. It is just another day in Purani Dilli (old Delhi), but I am oblivious to it all. I only have one thought: that I am finally about to step into the old residence of Urdu and Persian poet Mirza Ghalib. It has taken me years of planning and wishing and dreaming, but here I am finally. Truly, a pinch-worthy moment. The first time I heard of Mirza Ghalib was when I was in school. I came to know that our national television was airing a serial titled Mirza Ghalib. I learnt from an uncle, who lived next door, that it was about the life of a great man who went by the same name. He was supposed to have been a wonderful Urdu poet, someone who was feted for his shaayari. Since my proclivities at that age had less to do with high falutin poetry and more to do with games, the serial was of no consequence to me. It was only in college that I came face to face with Ghalib’s poetry. Cloaked in the melancholic baritone of Jagjit Singh, a noted ghazal singer, Ghalib’s poetry was like a beam of soft moonlight on a hot summer night. In the years that followed, I came to know the man rather well through his writings. And now, after all these years, I was visiting the house where he had spent his last days. A plaque at the entrance announces this as ‘Mirza Ghalib Ki Haveli’ (Mirza Ghalib’s mansion). I smile at the security guard and enter the short corridor that leads to the house from the gate. There are two rooms: one ahead of me and another to my right. Both rooms are lit by yellow lighting that casts a soft glow. I walk into the room ahead and look around. There is no other visitor at the moment. The guard joins me and tells me that the house was occupied by various people after Ghalib’s death in 1869 and lost some of its original character because of repeated modifications. 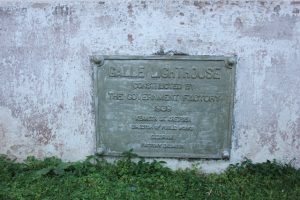 When the government decided to convert it into a memorial, it had to buy the house from someone who was running a motor workshop here. Mirza Ghalib was one of the best Urdu and Persian poets. Born Mirza Asadullah Khan in Agra in 1797, he adopted the nom de plume Ghalib (meaning ‘victor’). He spent most of his life in Delhi, though he spent only the last few years of his life in this particular house. He travelled to places such as Rampur, Calcutta, Murshidabad and Varanasi, meeting and exchanging verses with the nobility. His verses are considered by many to be a benchmark in Urdu poetry and loved for their depth of feeling. I recall my historian friend Swapna Liddle, an expert in the history of Delhi, telling me that Ghalib acquired quite a fan following, with scores of fans writing to him regularly. Though I love Urdu poetry in general, and have closely followed the works of Zauq, Daag and Mir, there is something about Ghalib’s writings that I find particularly endearing. I guess it is a very personal choice, partly dictated by the fact that the themes he wrote about are ones that I am naturally drawn to. Ghalib frequently struck a distinct philosophical tone in his poetry, musing about life, death, love, passion, pain, suffering and so on. The din of the streets outside is very faint as I walk around the small memorial. The exposed brickwork of the walls lends character to the place. The walls are adorned by pictures of Ghalib and his couplets. One of the pictures, in which he is reclining on a cushion and writing, even as he draws on a hookah, certainly portrays a person of refined taste. Finding his family tree framed on another wall comes as a surprise, because I hadn’t thought of his family at all. It could be because I had grown up knowing him only through his poetry, which is an entirely personal affair. The family tree traces the family all the way back to the early 18th century. A couple of small chambers lead off this room and contain more couplets and a large tome containing his poetry. I try to picture life here during Ghalib’s times – a period when the last of the Mughal emperors was still on the throne and when Old Delhi used to be called Shahjahanabad. He lived in turbulent times and witnessed the First War of Independence in 1857. Entering the second room, I see a bust of the poet, a synopsis of his life and a picture of his wife Umrao Begum. Ghalib’s haveli is light on artefacts, but rich in atmosphere. It is a wonderful throwback to his time. That evening, I go to Nizamuddin, a few miles away from Ballimaran. While Ballimaran gave the revered poet a home in life, Nizamuddin is where he is housed in death. I have come to visit his tomb. A number of people I ask have absolutely no clue about it. Finally, a passing maulvi (Muslim priest) shows me the way. The arched entrance to the complex is built in Islamic style. Inside, several children are playing cricket. The azaan rings out from the famous Nizamuddin dargah nearby. I dodge a flying ball, cross an enclosed 16th century pavilion called Chausath Khamba (sixty four pillars) and find myself in a quiet courtyard. In the middle of the courtyard, lies Ghalib’s tomb – a simple room constructed in white marble. Through the open doorway, I can see a faded muslin cloth draped on the grave, with a few dried flowers lying scattered on it. The caretaker of the tomb tells me that, barring the occasional group of ardent historians or lovers of Urdu poetry, not many visit the grave. Much of the city of Delhi seems to be unaware that one of its most revered poets lies buried in its midst. But then, this is hardly surprising in a city that is littered with heritage sites. I sit on a stone bench for a while, listening to the prayer coming from the dargah. I finally rise, pay my respects to the poet and leave. My pilgrimage is complete. Ghalib’s memorial is in Gali Qasim Jaan, in the Ballimaran area of old Delhi. Given the congestion in the area, it is best to take the Metro to Chandni Chowk and walk from there. The memorial is open from 10 am to 6 pm, and is closed on Monday. Ghalib’s tomb is located next door to the dargah of Hazrat Nizamuddin, a revered Sufi saint. There is no entry fee for either site. Urban Indians are embracing running vacations and biking tours as a new, experiential approach to travel. This story first appeared in The Hindu on August 23. 2017. Recalling his trip to Hampi, Rajesh Santhanam is somewhat surprised at himself. 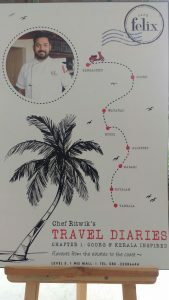 An avid traveller for more than a decade, he has had his share of long bike rides and treks in remote mountains. But the trip to Hampi (a cluster of ruins that dates back to the Vijayanagar empire and a UNESCO World Heritage Site) stands out for a simple reason. He went there to participate in a run, something he had never done before. At the crack of dawn on a cool Sunday morning, he joined a few hundred others in running through the ruins. Much before the hordes of tourists descended upon the scene, the runners were already exploring the place, loping past centuries-old temples and step-wells. A run vacation is an exciting new development in the Indian travel scene. In essence, it is a run that is professionally organised in a popular tourist destination. It combines two highs: that of running and that of a holiday. As a participant, you can reach the destination a few days in advance, explore it, and then finish your vacation with the run. Or, you could start your vacation with the run and then stay on for a few more days. The fact that the run is not timed enhances the fun. In its infancy in India, the idea of run vacations is attracting a growing number of people. Go Heritage Run, a company that organises such runs, has seen nearly 6,000 runners participate in their runs in the past three years. Many of them are repeat participants, which is a good indication that this experiment is working. 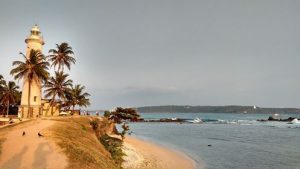 The company offers a calendar of professionally-organised runs throughout the year, in settings as unlikely as Ooty, Halebidu, Khajuraho, Mirjan Fort and Murud-Janjira. Running through the verdant greenery of the Nilgiris, enjoying the pure air, is an unforgettable experience. Or for that matter, taking in the beauty of the seaside Murud-Janjira Fort. You get to see the place in a totally new light. At the end of the run, you are given breakfast, a certificate and a medal. If running is not your thing, you could consider signing up for a riding tour instead. A riding tour is essentially all about hopping onto a motorcycle and exploring a place leisurely. It allows you to make impromptu stops along the way, interact with locals and soak in the culture of the place. Seeing that more urban Indians, including women, are interested in long rides, professional outfits such as The Travelling Circus have started organising riding tours. This company has organised more than 25 long rides since its inception in 2011. Destinations on their map include Chikmagalur, Bhutan, Sri Lanka, Ladakh and Kinnaur. Rajasthan and Cambodia are being added this year. Details of every tour are planned professionally, with rider safety getting top priority. Your group is accompanied by a support van, a stock of spares and an experienced mechanic. If you think these rides are meant only for seasoned riders, think again. If you are a first-timer, such a tour can actually help you ease into bike riding. By the end of a tour, you may even fall in love with it! There are many factors that make these tours tick. Experiencing the sheer thrill of long-distance riding, bonding with like-minded people, and travelling through beautiful places in an immersive manner, are the key factors that make these tours attractive. Of course, they often entail long riding hours and call for a certain level of fitness. At the same time though, you are guaranteed a lot of fun, adventure and a spirit of support and sharing, all of which help seal friendships. And friendships formed on the road do have a special flavour. 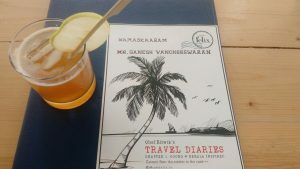 Run vacations and riding tours symbolise the changing motivations of the urban Indian, who sees travel as a way to quench his thirst for adventure. In the process, they help discard many stereotypes. In Chandannagar, time flows as languorously as the Ganga beside it. This story first appeared in Mint on November 9, 2017 – in the section titled ‘Weekend Vacations’. The statue of Marianne, a national symbol of France, outside the Dupleix mansion. The rains had left the fields lush green, a vivid contrast to the dark brown soil at the base. This dual-colour canvas kept a tight grip on the sides of the road through most of the trip. Bustling villages and near skirmishes with traffic ensured there was never a dull moment on the drive from Kolkata to Chandannagar. My decision to go to Chandannagar for the weekend had been an impromptu one, taken the night before. The fact that it was the only French colony in Bengal in the 17th century, at a time when the British were making determined inroads into the region, made me curious. And so, late one Saturday morning, I hopped into a taxi for the 53km ride. It was a swift and mildly disorienting transition from the crush of humanity in Kolkata. As we entered Chandannagar, my driver pointed to two pillars topped with urns. He said these were all that remained of the grand gate built by the French in 1937. I asked him to take me to the Dupleix Museum, located in a large yellow mansion. 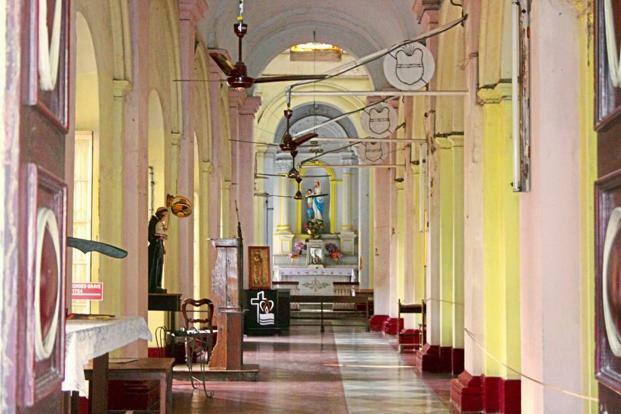 It is one of the few in India that houses a collection of artefacts from French rule, which lasted more than 250 years. Chandannagar was a major trading and military hub for the French during the 18th and 19th centuries. And this mansion used to be the official residence of French governor generals. 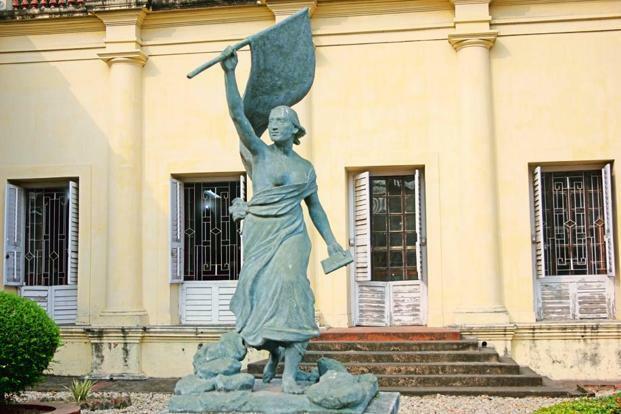 Apart from French memorabilia, the museum houses rare collections of statues, letters exchanged between freedom fighters, and news clips on the freedom movement in Bengal. With its colonnaded courtyard, broad slatted windows and high ceilings, it is a throwback to period architecture. Even today, French is taught at an institute that operates from the same premises. Leaving the museum, I headed to a stall nearby for a leisurely mutka (earthen cup) of tea. I was in no mood to rush from place to place. Already, I could feel my heartbeat settling into a slower rhythm. Chandannagar has that effect on you. The interior of the Sacred Heart Church. Continuing my journey into the past, I walked up to the lovely Sacred Heart Church, close to the Dupleix Museum. This church, designed by French architect Jacques Duchatz, was inaugurated in 1884. Stepping into its cool portals, I was transported back to the 19th century. The stained glass, old furniture and colourful murals along the nave are largely intact. Later, I walked through the restored graves and tombstones in the cemetery adjoining the church. Buried here along with other nobles is the long-forgotten French commander Duplessis, one of the town’s founding fathers. Exploring the streets that evening, I saw a number of rambling bungalows from the French period. The structures, still intact, exuded an air of genteel neglect. There was an abundance of greenery. Traffic was sparse and slow-moving. Passing through the local market, I was struck by the absence of the hoarse cries one normally finds in Indian markets. Even the haggling was absent. It seemed as if the entire town loathed anything loud or frenetic. Wending my way to the strand, I sat on a bench. A few others had colonized benches to read the newspaper or chat. In front of me, the Ganga, known in these parts as the Hooghly, flowed gently, with barely a murmur. Boats ferrying locals were the only traffic. And quiet descended as soon as the day’s activity wound up with the setting sun. Fortified by some luchi-aloo dum the next morning, I sallied forth again. This time, to the stunning Nanda Dulal temple with its cream-and-vermillion exterior. This temple is built in the do chala (double sloping roof) style native to Bengal, but is, surprisingly, devoid of the terracotta work that is typical of buildings in this district. I learnt from the priest that this temple, which houses a deity of Lord Krishna as a child, was first built in 1740, destroyed and then rebuilt. I was tempted to join the boys playing volleyball in front of the temple. In keeping with the mood, however, I decided to return to my room to curl up and read. I have a thing for the past. And the ‘paster’, the better. Events, buildings, houses, towns, things, people, stories….anything. In my travels, I often visit places that have a strong hangover of the past. In a country like India especially, it is easy to find such places because they are practically everywhere. There, I find myself spending hours browsing antiquities, looking up old bookstores, gazing at old mansions and forts…even seeking out old people with faces crinkled like walnuts to chat with. Why is this so? For one, because there is simply so much beauty, grandeur and harmony in things from the past. Most things from the olden days have an exquisite design aesthetic, a robustness and a caliber of craftsmanship that is difficult to find these days. But also, the past reminds us of our roots, our beginnings and the paths we have trodden to come this far. The living remnants and accounts of the past tell us of another way of life, another worldview altogether. They tell us about how we had thought, spoken, acted at one point of time. And if you aggregate these remnants and accounts, you get a cumulative view of the history of mankind. After all, all that we have today has been built on the past (often, on the debris of the past). But, of all things that embody another time, the one that moves me the most is the lighthouse (again, the older, the better). No curio, no fort, no ancient temple or mosque comes even close to it. From the minute I clap my eyes on a lighthouse, I itch to explore it – even touch and feel it. Even if I spot one from afar (say, from a bus or train), my gaze remains locked on it till it fades out of view. The lighthouse instantly calls to mind the several generations of seafarers, for whom the sea was the only way to travel to far-flung places. These were the bravest travelers of all time, foraying into uncharted waters and finding unmapped lands. Braving extreme weather conditions, illness and frequent paucity of resources, they managed to go where nobody else had gone before them. 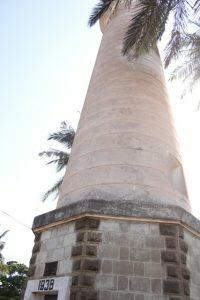 For them, lighthouses were crucial navigational guides, like lamp posts in the sea. And often, the presence of a lighthouse made the difference between life and death to them. In that sense, they were one of the earliest friends of travelers. All these thoughts rush through my mind whenever I see a lighthouse. I have seen several of them over the years – in Daman, Kannur, Vypeen, Vizhinjam, Chennai, Galle (Sri Lanka) and other places. And the effect they have on me hasn’t changed over the years – if anything, it has only intensified. As soon as I arrive at a seaside town, I enquire about lighthouses. And, if I find that there is one in those parts, I invariably end up visiting it. I enjoy rooting about their base, looking for identification marks (like inscriptions and metal plates) that can help me anchor them in a specific time period. I then sit down on a rampart or rocky coastline next to it for a while, gazing into the sea. If I find the caretaker of the lighthouse, I spend a few minutes with him in delightful conversation. But what exactly I see in a lighthouse also depends upon my mood-of-the-moment. When I am in a deeply reflective mood, I think of what would have happened, had there never been lighthouses in history. That would surely have set back our progress and our understanding of the world by a few centuries. When I feel buoyant, I see it as a beacon of hope and safety – a pathfinder and a sanctuary. When I am feeling a little low, I can’t help thinking of it as an extremely desolate place, eyes eternally cast over an equally desolate sea that is vast and unchanging over millions of years. At those moments, I am invariably reminded of a short story called ‘The Foghorn’, that I read in school. ‘The great deep cry of our foghorn shuddering through the rags of mist…’ and the answering call of the creature of the sea, deep-throated in its loneliness are forever etched in my memory. No matter what my mood, lighthouses have left an indelible impression on me. In my book of travels, they occupy a very special place. What effect does a lighthouse have on you? They say life on the edge is always exciting. Even exhilarating. Laced with fear. For a long time I wondered what living on the edge was all about. Though I could half-understand what kind of emotions they were talking about, I couldn’t picture them properly…couldn’t imagine their extent & depth. The rush that they were talking about. 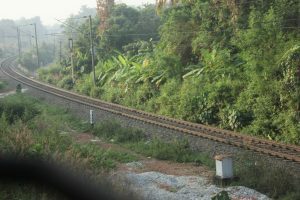 All that changed the moment I stood at the door of a speeding train for the first time. I don’t clearly remember when, but it must have been during one of my journeys home when I was in college in Trissur. I joined college 11 years ago, so I’m talking about a long time back. We used to go home once in maybe six months. And it invariably used to be a group affair – 3 or 4 of us rocking & rolling all the way! So you can imagine the racket we would make. And at that age, standing at the door is de riguer. It is even better if you are a smoker. You could then light up standing right at the edge of the door, taking care not to hold on to the bar. Then you would lean back against the door with a nonchalant air and smoke away…..stick after stick. Of course, you would vary your pose once in a while if there were nubile young things around. Thankfully, I didn’t suffer from such impulses. Plus, the fact that I didn’t smoke somewhat made me a non-starter. But that didn’t stop me from spending hours at the door. A habit that has stuck till today. Back then, because we used to travel in a group or at least as a pair, group dynamics took centrestage. We used to sing loudly, crack jokes & generally make a nuisance of ourselves. Standing at the door gave us a high. We would have made a racket anywhere, but standing at the door enhanced the experience. After I started working, my travel experience underwent a subtle change. The chief reason being that my journeys became solo affairs (at least mostly). And I started traveling more often. But the old habit of standing on the very edge has stuck. I can’t wait for the train to pull out of the station, so that I can do my thing. So much so that, I usually spend at least half the journey at the door. It seems to me that when you are seated inside on your seat, you are a frog in the well. Whichever way you turn, you only see other frogs in the same well. The view to the outer world is well, blocked. It is better if you have a seat by the window, but not much. Because, though you can see the beauty of the world outside, you still feel boxed in. Your view of the world outside is framed. It’s like the frog is just about able to peep out of the well. While it is able to see the beauty all around, it is not really able to get the full import of it. The frame of vision is too small. When I stand at the door, the frame of vision suddenly seems enlarged many, many times. I am able to experience so much more, take in so much more. It’s like the whole wide world has been spread out like a giant, multi-coloured carpet for my benefit. Life at the edge is like a personal conversation between the world & me. I am buffeted by extremes of sights & emotions. One moment, I am looking at a toothless old woman smiling at me through her thick glasses. The very next, I see this cackle of young kids jumping, shouting & waving at the train. This is a frequent sight. I always make it a point to wave back. Their joy is so infectious! I have some difficulty in restraining myself from jumping & shouting like them. It is as well, since I am alive to tell the tale. One moment I see this buxom young woman bearing her child on her hip, waiting for the train to rush by, so she can cross the track. The very next, I am amazed to see this young turk navigate the dirt track alongside the railway track on a Rajdoot, with two milk cans hanging from either side! Sometimes, the train slows down & I see workers repairing the track on a bridge ahead. I fear for their safety….I mean, what if one of them falls onto the dry river bed? I can’t get over this uneasiness for several minutes. Not until I see a flock of snow-white birds take off from the bank of a small pond. When the train passes through a town or city, I involuntarily take a step backward. As if, all that crowd, noise, dust & stench were physically pushing me back. Some towns can be quite repelling, that way. At the very least, they assault your senses with garish lights & over-loud music. That’s the only time I feel like taking a break from the edge. In some places, the houses are lined up so close alongside the track that I can witness household scenes through open doors & windows. These are awkward moments, when I feel like an intruder. I try to avert my eyes from the houses to something farther away. After all, it is not their fault that they have set up home by the tracks. One of the best sights from the edge is that of the train curving along a bend on the track. Since our trains are usually very long (many are more than half a kilometer long), these bends offer a fabulous view of the entire train. To actually see the coaches connected to one another & to the loco, is to feel the rush in a very intimate way. Mountains, groves, deserts, rivers, the sea, farmers tilling the soil, mechanics at work, processions of death, temple-festivals, decorated churches, the muezzin’s call, children walking to school, teenagers idling by a culvert, roadside brawls, ….I have seen it all, heard it all. This is not to say that I have seen it all. Not by a long way. Of course, life on the edge comes with its risks. The train bucks & sways at high speed; so, you have to be very, very careful. You lose your grip on the handlebars for even a moment and you are history. You need a good sense of balance & anticipation. Over time, your body tunes itself with the motion of the train. You intuitively know when the train is banking on a curve, when it is slowing, when it going up an incline and so on. You learn to stand at the edge, just within the frame of the coach, without jutting out even an inch. You learn to remain alert all the while, watching for the mammoth door lest it should swing close on a bend & chuck you to death. The idea is not just to experience life on the edge, but to also live to tell the tale. Life on the edge is exhilarating, liberating, humbling, elevating, revealing, dangerous, riotously colourful, beautiful, now seducing, now repelling. In short, it is indescribable. 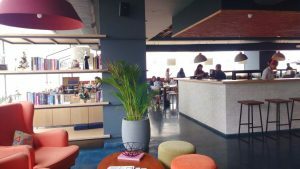 The IT industry and the pubs that Bangalore is known for today, are highly incongruous with the humble origins of this glitzy metropolis. Historians believe that the area on which Bangalore stands today was probably inhabited even during the Stone Age and Iron Age! Much later, a succession of dynasties such as the Hoysalas and the Talakadu Gangas occupied Bangalore, before giving way to Tipu Sultan and subsequently, the British. For the British, Bangalore was one of their important cantonments in South India. They have left behind a fine legacy, mainly in the form of exquisite churches and other buildings. Several of these can be seen even today. From being a ‘pensioner’s paradise’ in the ‘70s and ‘80s, Bangalore has morphed into a bustling, multi-ethnic centre of commerce and education today. Here’s a two day plan for you to sample some of what the city has to offer. We hope that this will make you return to the city soon for a second helping! 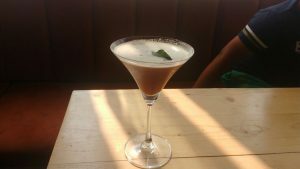 When in Bangalore, do as the Brits did. Have a breakfast that harks back to the time when the Burra Sahibs and their ladies used to pick up knife and fork, dressed in their daily best. The crowd at Koshy’s today is very modern and arty, but the building, the décor and the food all retain an old-world air. The waiters here do have a stiff upper lip, but if you ignore that and focus on the sausages, cutlets, omelettes and ‘full English’ breakfast, you will feel justifiably happy. Koshy’s is on St. Mark’s Road, close to where the road meets M.G. Road. This is a gem hiding in plain view. 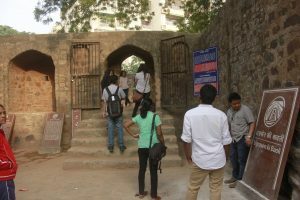 The Summer Palace is situated bang in the middle of the city – next to the City Market – yet most Bangaloreans themselves don’t know its location. Its teak pillars and frescoes make for an interesting study. The ruins of Tipu’s fort lie close by. One of the most popular street markets in Bangalore, Commercial Street is a good place from where to buy clothes, shoes, jewellery, furnishing and trinkets at reasonable prices. Bargain hard, as you would in most other markets of India. Mathsya opened just over a year ago, but became almost an overnight hit. 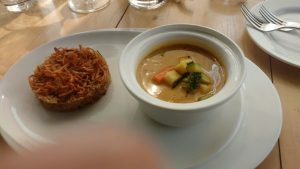 An all-vegetarian affair, the food is memorable, and is served graciously and generously. While they have an excellent a la carte menu, the better choice would be their buffet. Offering a wide and interesting spread that varies from day to day, this is superb value for money. Mathsya is situated on Church Street, which runs parallel to M.G. Road. Time was, when the Church Street-M.G.Road-Brigade Road district used to be dotted with bookstores. Most of them have vanished, which is why you should dive into at least one of these three stores. For all you know, they may be running on borrowed time. Each of them offers a wide and eclectic range of books from crime thrillers to medieval art to classical literature. It helps that the store owners are book lovers who can have an intelligent conversation with you, should you be so inclined. This is situated right next to the M.G. Road Metro station, and is a good, if rare, example of a thoughtful project undertaken by the city’s administration in recent times. It was built as part of the restoration of the MG Road boulevard. It is fast becoming a hub for activities related to culture, photography and art. Photo and painting exhibitions, multi-media installations and monthly Drum Jams (where a random crowd assembles and starts drumming together) are held here. End your visit with a few moments amidst the foliage on the walkway and have filter coffee at Dasaprakash. Feel the din of traffic fade away as you gaze up at the beautiful red building of this church, with its tall belfry and chiming clock. This 150 year old church is a fine example of Gothic architecture, as interpreted and followed by the orthodox Scottish Presbytarians. This was the central place of worship for the Scottish Regiment of the British Army stationed in Bangalore all those years ago. Spend a couple of hours taking in the architecture, the stunning stained glass work and the trees in the compound. One of the few remaining pipe organs in the world can be found here. There are a lot of pretenders, but the one we are talking about is located in Victoria Layout, near the Lifestyle store. The pale blue-green building is unpretentious, but the biryani served inside (including the vegetarian version) is worth killing for. It is perfectly spiced and cooked, without an overdose of oil. And the mirchi ka salan, which is served along with the biryani, must rank among the best in India. Start the day with breakfast at one of the best restaurants for South Indian food in Bangalore. New Krishna Bhavan is actually quite old. It is located on Sampige Road in Malleshwaram, diagonally opposite the Mantri Square Mall. Wade into crisp vadas, soft Kotte Kadubus and fragrant rava khichdi, before you wash them down with superb filter coffee. 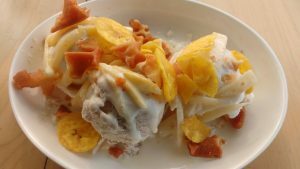 This simple eatery is extremely popular with the locals, and has every reason to be so. Chithrakala Parishath is Bangalore’s premier center for the arts. The complex on Kumara Krupa Road near the Golf Course houses a good collection of traditional Mysore paintings, leather puppets and sculptures. Some of the paintings of the famed Russian painter Svetoslav Roerich are also kept here. On most days, you are likely to find an exhibition, a workshop and a performance of folk art going on here. Some works of art are available for sale. 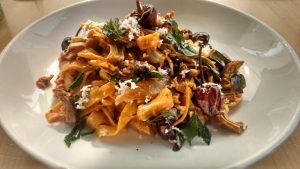 As the name suggests, this roof-top restaurant is perched on the thirteenth floor of Barton Centre (on M.G. Road). Since the weather in Bangalore is pleasant for most part of the year, you can enjoy your meal at one of the tables laid out on the terrace. The hawk’s-eye view of central Bangalore is a unique and perfect accompaniment to lunch. 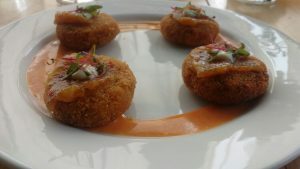 13th Floor offers Indian, Asian and Mediterranean cuisines; take your pick. UB City is the grandest place for leisure and entertainment in the heart of Bangalore. It has a luxury mall (with stores of Louis Vitton, Canali, Jimmy Choo, Bang & Olufsen, etc. ), a performance arena, a few spas, restaurants and watering holes. A great place for retail therapy and a drink. Hop on the Metro for a jaunty ride. The 7 km stretch from M.G. Road to Bayyapanahalli runs on an elevated track and gives you a good view of the city’s roads and buildings. You will see the Trinity Church, the lush lawns of the army-owned Ranjitsinhji Institute, the temples of Ulsoor and the periphery of Indira Nagar. You can get down at Bayyapanahalli and take the next train back to M.G. Road. If you are in the mood for a play, head to Ranga Shankara in J.P. Nagar. This is the pre-eminent venue for plays in Bangalore. Ranga Shankara stages a wide repertoire of excellent plays in different languages. To attend a concert, the Chowdiah Memorial Hall in Vyalikaval would probably be your best bet, though there are other good venues too. Check the listings in the day’s newspaper or ask your hotel for help. The people who named this place Thindi Beedi couldn’t have chosen a more apt name, because this is actually a street full of food carts and stand-up eateries. In Kannada, Thindi Beedi means Food Street. Bangalore’s ode to street food wakes up in the evening and is in action until way past midnight. 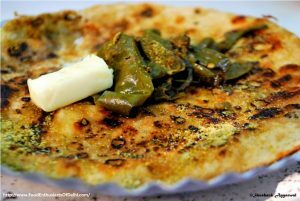 Here, you will get roasted and sweet corn, bondas and bajjis of different kinds, regional specialties like the Davangere Benne Dosa, Neer Dosa and Akki Roti, pav bhaji and vada pav. Chase them down with desserts like Gulkhand, Holige, Falooda, Kulfi and ice cream. Thindi Beedi is situated in V.V. Puram, very close to Sajjan Rao Circle. Don’t miss this experience. A shade over two centuries old, this church has some excellent Roman arches, woodwork and ornate carvings. And large dollops of peace. The Cathedral is on M.G. Road, opposite Cubbon Park. A commune situated about 30 kms outside Bangalore, Nrityagram is a dance school which follows the gurukul tradition. Founded by the late dancer Protima Bedi, it is situated amidst beautiful surroundings in Hesaraghatta. If you are in the mood for a quick getaway to the hills, Nandi Hills is a good bet. 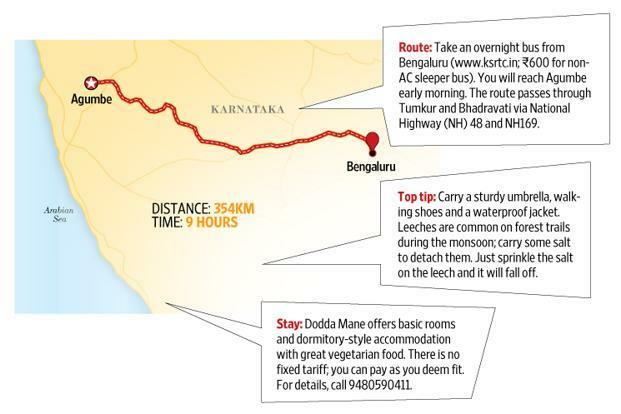 Just 65 kms from Bangalore, Nandi Hills makes for an easy day trip. Try to watch the sunrise or sunset from there. Bangalore has quite a few exciting flea markets like the Sunday Soul Santhe and the Lil Flea. Ask a local friend or your hotel to help you find one. Or, check the internet. Delhi is perhaps the most storied of Indian cities. Much has been written about its conquests and rules, its masters and mistresses, the commingling of diverse influences to create the unique ‘Delhi’ culture and idiom. Still, the fact remains that even now, there are shades of the city that many tourists are not aware of. Here are seven such. The next time you visit Delhi, try to indulge in these experiences. You will come away charmed! North and West India has a rich history of step-wells, which are scientifically designed storage tanks for water. They were built in many kingdoms of medieval India. Agrasen ki baoli one is believed to have been first built by King Agrasen in the 14th century. Subsequent rulers enlarged the well. It consists of 103 steps that lead down from the top. The steps keep getting narrower as you go down, until you reach the inky depths of the well. For several centuries, this step-well used to store rain water, which was then supplied to neighbouring areas. The fact that the stepwell is surrounded by busy roads and modern skyscrapers lends it a schizophrenic air. This is likely to rub off on you, making you feel sandwiched between two different eras. For a structure that is seven centuries old, it is in good shape. 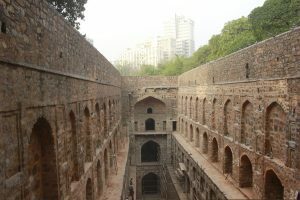 Agrasen ki Baoli is located in a narrow alley off Hailey Road, near Kasturba Gandhi Road in central Delhi. 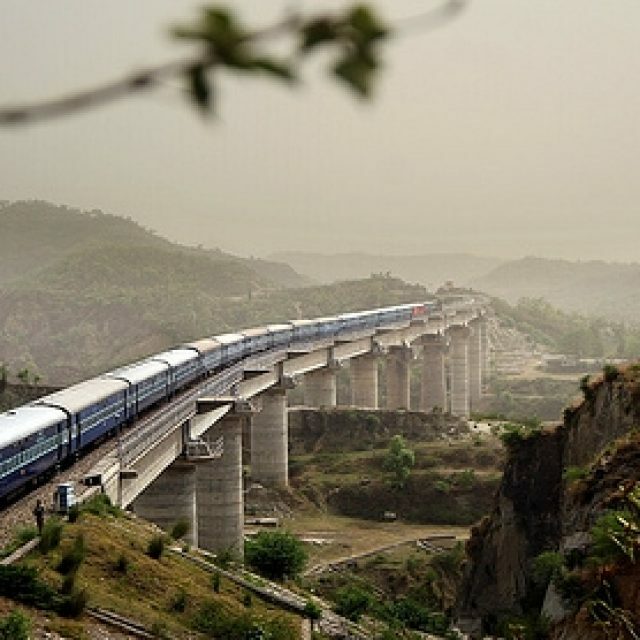 The richest legacy left behind in India by the British is perhaps our railway system. 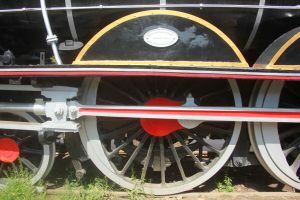 The Rail Museum in New Delhi is a repository of some of the finest gems of that legacy. 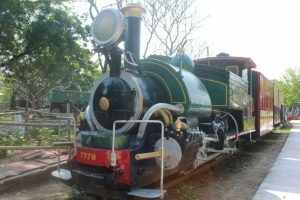 It showcases the best iron steeds that ever ran on rails in India during the British rule. In that sense, this museum is unique among all museums in India. A fascinating way of looking back at Colonial India. You can ogle at various models of majestic Glasgow-made steam locomotives and the grand saloon cars of the Maharajas (what symbols of vanity!). The smart livery of the iron hulks and the names of the private railway companies they ran for (Rajputana Railway, Souther Mahratha Railway, Oudh and Rohilkund Railway) evoke a very different map of India indeed! 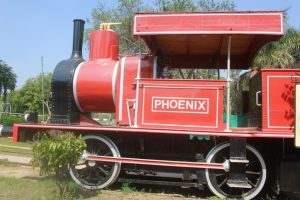 The museum also has an indoor gallery, with many other items and photos related to Indian railway history. A good way to lose yourself for half a day. This is gastronomical heaven on the pavement. Delhi has always had a rich culture of street food, and Moolchand Parathewaala is one of the best symbols of that culture. This joint is actually a big cart parked on the pavement, with a few tables and stools laid out for guests. It gets its name from the famous Moolchand Hospital in South Delhi, opposite which it is located. Heavenly parathas with varied stuffings like mooli (radish), anda (egg), aloo (potato), gobhi (cauliflower), dal (lentils), pyaaz (onion) and mixed vegetables are served hot off the griddle, accompanied by the most yummy raita, chutneys, rajma and curd. The mandatory dollop of butter on the parathas will send you into orbit. 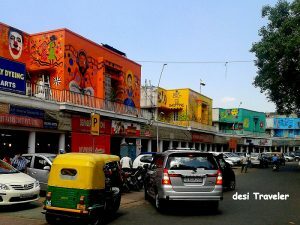 Moolchand can be a great introduction for travelers to the foodscape of Delhi. Daryaganj is the walled part of Old Delhi, earlier known as Shahjahanabad (the city that Shahjahan, the Mughal ruler, built). 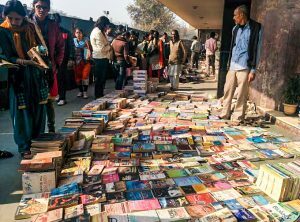 Every Sunday morning, the pavements in this area are taken over by books and book lovers of all hues. This fifty year old book bazaar is an institution patronised by book-lover locals. Here, you will find books of every hue. From first folios of literary classics to the latest releases; from computer science text books to Nietzsche and Camus – you’ll find them all here. A great way to spend your Sunday morning. Afterwards, you can celebrate your rich pickings by lunching in one of the old eateries nearby. Literally and figuratively, Shankar Market lies in the shadow of the hyped-up Connaught Place. This small, cozy market offers a mix of excellent Indian-style clothes, North Indian snacking joints and book shops. All at good bargains. 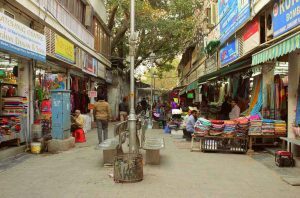 Shankar Market lies close to the Barakhamba Station on the Metro line, and is a favoured destination of the more discerning shoppers. 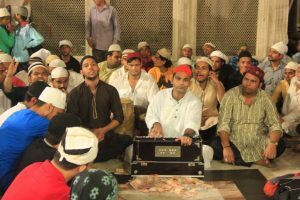 The Qawwali is a form of Sufi devotional music, dating back 700 years. Its hallmarks are the verve and abandon with which the musicians sing, transporting the listener to emotional heights. Qawwalis stress the love of Man for the Divine (or the oneness of Man with the Divine). The effect of the songs is amplified by the robust beats of percussion instruments like the dholak and tabla. 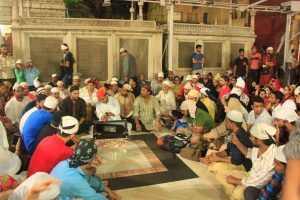 The dargah (shrine) of the 13th century Sufi saint Nizamuddin Auliya vibrates to the notes of joyful Qawwali music every Thursday evening, making for a rousing experience. As the shadows lengthen, a group of sufi singers come together and invoke the Eternal. They are accompanied by harmonium and dhol players, who infuse the tunes with boisterous rhythm. And the crowd goes into raptures.